I was so excited to present this one of a kind custom Deco Shoe Bench to my client. She was thrilled! This video shows some of the details I designed into the piece of furniture. It matches the architecture and style of my client’s period home. It will sit in the foyer at the top of the stairs. The sandal shelves are on the left, shoes go in the middle drawer and boots to the right. The boot box has a removable water tight tray. A top cushion will be upolstered. 60″L x 20″W x 20″D. 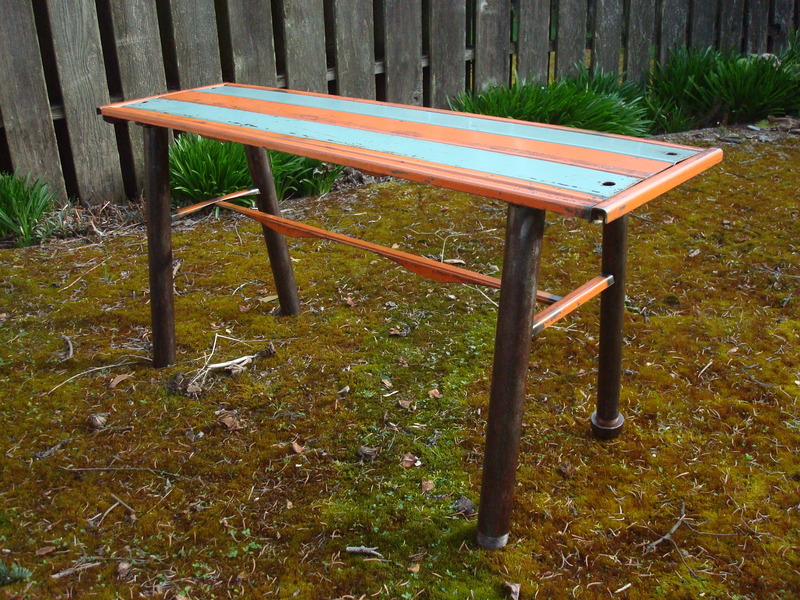 Categories: commission, new work | Tags: bench, color, commission, custom, furniture, sculpture | Permalink. The bench is made from salvaged shelving slats, pluming pipes and fittings. 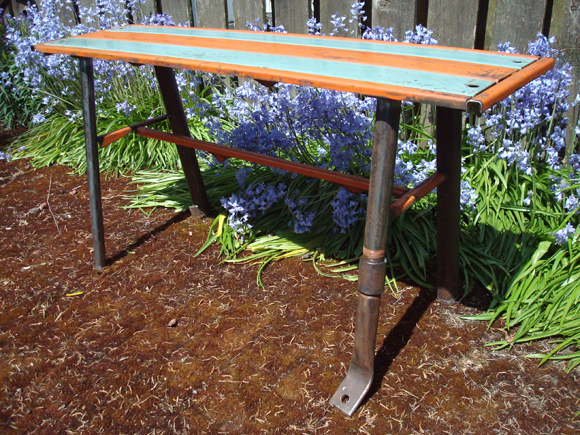 Categories: shows | Tags: bench, color, industrial remnants, plumbing parts, scrap steel | Permalink. 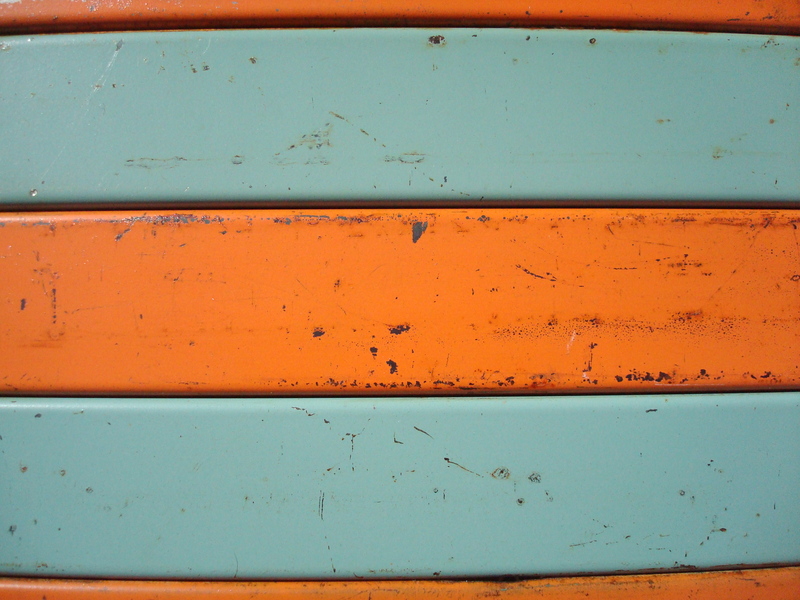 Benches are made with all reclaimed metal bits: pre painted distressed slats, random square stock or pipe legs, some still have plumbing connections or threaded ends. 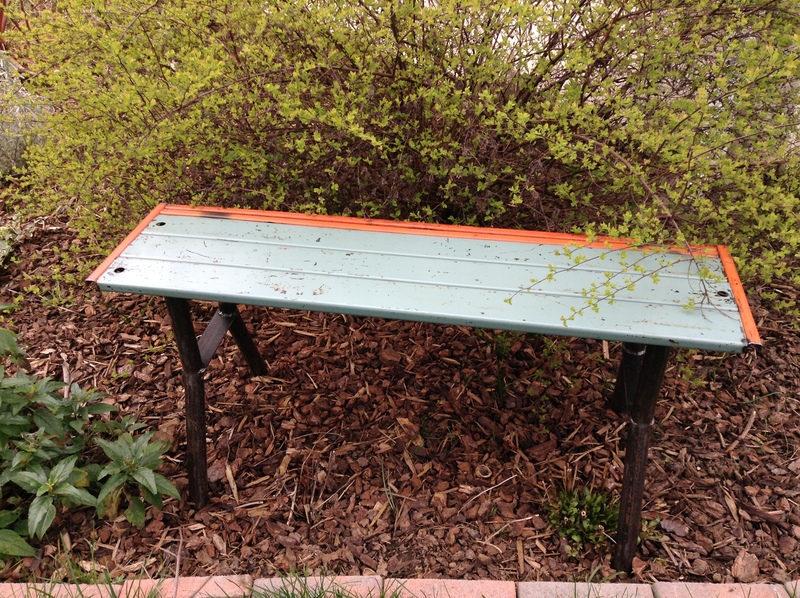 Categories: new work | Tags: bench, color, industrial remnants, plumbing parts, scrap steel | Permalink.